With the acquisition of Puregas Solutions, Wärtsilä gained further expertise in biogas upgrading, complementing its existing offering in liquefaction solutions. 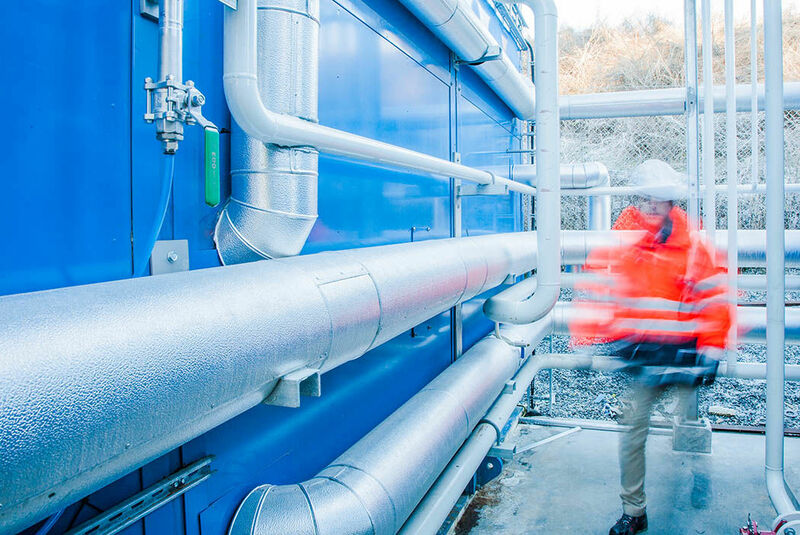 Following an agreement signed in October 2017, Wärtsilä acquired Sweden-based Puregas Solutions, a provider of turnkey biogas upgrading solutions. Having cooperated earlier as partners on various biogas projects, Wärtsilä sees the technology and know-how offered by Puregas as a natural add-on to the company’s strategic focus area of gas solutions. Furthermore, integrating such a transformational solution into the company offering is perfectly in line with Wärtsilä’s newly defined purpose of enabling sustainable societies with smart technology. “When making an annual revision of our strategy in gas solutions last spring, we identified small-scale liquefaction and biogas as especially attractive growth areas. Combining our strong position in the liquefaction market with Puregas’ biogas upgrading technology and competencies will allow us to optimise our solutions even better, and offer a more complete scope with real added value to our customers,” says Timo Koponen, Vice President, Flow & Gas, Marine Solutions. Puregas utilises a unique CApure process to convert raw biogas to biomethane, a renewable natural gas. This process of gas upgrading and purification is required before the biogas can be liquefied, enabling efficient and cost-effective distribution to the small-scale market. “We have been involved with the core technology of liquefaction from the very beginning. Having thoroughly studied the multiple technologies for biogas upgrading, our conclusion is that the amine-based absorption technology used by Puregas is one of the prevailing ones going forward, and a good choice for expanding our overall reach in the gas value chain,” Koponen adds. We believe the amine-based absorption technology used by Puregas is one of the prevailing ones going forward, and a good choice for expanding our reach in the gas value chain. Puregas is a leading player in its field, with subsidiaries in Germany, Denmark, the UK and the USA. Since Wärtsilä is relatively new to the biogas market, the Puregas Solutions brand name will remain in use for a transition period, with the Wärtsilä brand gradually introduced. “Liquefied biogas volumes are relatively small compared to the much larger general biogas market. Obviously, our aim is to grow in liquefaction, but we also plan to take a larger market share in biogas upgrading as well. Overall, the renewable natural gas market is expected to grow significantly. According to certain estimates, the annual growth could even reach double-digit numbers,” Koponen says. In Koponen’s view, getting a major player such as Wärtsilä to enter the biogas market is a positive signal for customers. Although Wärtsilä’s current technology offering in the gas value chain is already rather comprehensive, Koponen fully expects it to expand.